As certain spaces within the stadium are re-imagined, Heinz Field Tours will still offer fans the chance to experience the rich history and tradition of the Pittsburgh Steelers and Pitt Panthers while visiting the Locker Rooms, Premium Areas, Press Box, Field Level, and much more! Our Tour Prices will increase on May 1, 2019. Public Tour reservations can be made for groups of less than 12 people. These smaller groups are then combined to enjoy the Heinz Field experience in larger tour groups of 25+ people. Tour reservations must be made at least 24 hours prior to a scheduled tour time. Private Group Tours are designed for a minimum of 12 people and require reservations at least 3 weeks in advance. Private Group Tours are offered Monday through Friday between 9 am and 2 pm. Payment for Private Group Tours can be made by credit card online or by check. To pay by check, please contact us at tours@heinzfield.com to book. School Group Tours are customized for and only offered to school groups, camps, and child care facilities. Reservations must be made at least 3 weeks in advance. Payment for School Group Tours can be made by credit card online or by check. To pay by check, please contact us at tours@heinzfield.com. Heinz Field Tours provide guests with a behind-the-scenes look into the FedEx Great Hall – including the new Hall of Honor, Clubs, Luxury Suites, Press Box, Field, and much more! School Group Tours are customized for and only offered to school groups, camps, and child care facilities. School Group Tours are offered Monday through Friday between 9 am and 2 pm. Reservations must be made at least 3 weeks in advance. Payment for School Group Tours can be made by credit card online or by check. To pay by check, please contact us at tours@heinzfield.com. Make Heinz Field a part of your special day with the Celebration Tour! 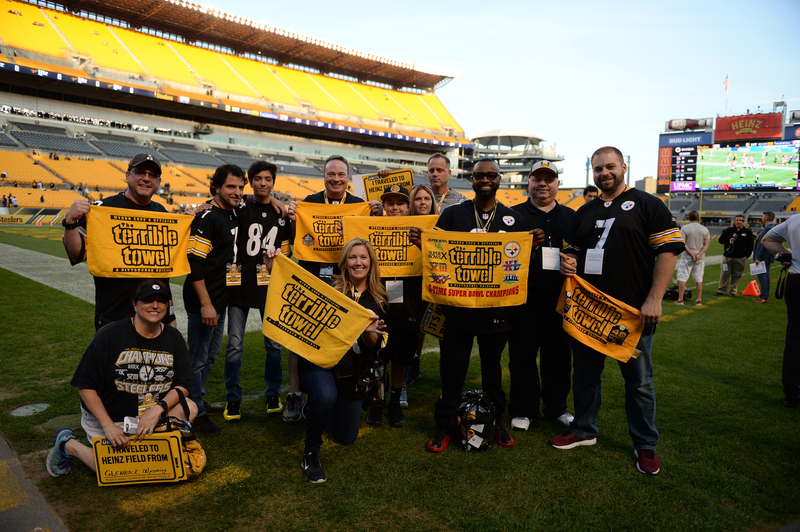 Along with a Heinz Field Tour Guide, you will have access to behind the scenes areas and photo opportunities during this 60 minute guided tour. Please contact tours@heinzfield.com to book. Heinz Field Tours are offered from April 1 through October 31. Tours are not conducted during the winter months due to weather and outside elements. All elements of Heinz Field Tours are subject to change based on stadium events. All tours last 90 minutes and include about a mile of walking. $7.00 per person and one free adult chaperone for every 10 students. Please note: If your bus driver(s) or school nurse(s) plan on taking the tour, you must include them in your total count. Bus parking is located along Reedsdale Street. Metered parking is also available along the North Shore depending on event schedules. To park in lots surrounding the stadium, please find this link to Alco Parking’s website for more information. **PLEASE NOTE: For tours on daylight weekday Pirate Games, parking will be the $15.00 event rate all day. What can you bring with you on your tour of Heinz Field? All guests touring Heinz Field must adhere to the stadium security policies. Some items permitted on Heinz Field Tours may not be permitted on Heinz Field event days. For more information, please refer to our Heinz Field Fan Guide. To schedule a tour of Heinz Field, please use the “Book Now” button above. For more information you can contact us via phone at 412-697-7150, and then press “5”. You may also e-mail us at tours@heinzfield.com. The tour hotline and email are checked daily. Please note the FedEx Great Hall is not open to the public on a daily basis. All elements of Heinz Field Tours are subject to change based on stadium events. Tours are not conducted on holidays, most weekends, or event days. Comfortable shoes are recommended and tours are ADA accessible. For updated information or changes in dates, please check heinzfield.com, e-mail or call us in advance. We look forward to seeing you at Heinz Field! For additional Heinz Field Tours resources, please find the Public & Private Tours Flyer and the School Tours Information Packet. For guests looking for more opportunities to experience great tours in the Pittsburgh area, please consider some of our local partners listed below. Carnegie Science Center is engaging and exciting for everyone, especially groups! No matter what your interests, or your budget, we have the perfect adventure for you. We can help you make the most of your visit! Discounted rates are available for groups of 15 people or more. Visit http://www.carnegiesciencecenter.org/visit/group-visits/ for more information. Segway Pittsburgh provides safe and memorable tours and adventures while educating our customers on Pittsburgh history and Segway PT technology. Offering guided tours of downtown Pittsburgh, Segway Pittsburgh provides each customer with individual instruction to ensure a safe and enjoyable glide. For more information please visit www.segwaypittsburgh.com. Don’t worry about driving in traffic or finding a place to park, Molly’s Trolleys Pittsburgh will pick your group up. Add a unique touch to your Heinz Field experience by having a 1920s-style Trolley bring your group to the stadium! Visit www.mollystrolleyspittsburgh.com for more information. The National Aviary is America’s only independent indoor nonprofit zoo dedicated to birds. The Aviary’s over 600 bird collection represents every continent except Antarctica, many of whom are endangered or extinct in the wild. Large free flight areas immerse visitors in the birds’ world with many opportunities to have a bird eat right out of their hands. Great group prices and group only activities are available. The Pro Football Hall of Fame and an Educational Advisory Panel consisting of nine teachers, five of which are National Board Certified Teachers, have designed a free Activity Guide for teachers to utilize in the classroom. This guide offers a fun and effective way for teachers to incorporate classroom activities relevant to football while acquiring a learning experience at the same time. The guide consists of everything from Language Arts activities to Mathematics involving the history of the National Football League, the Pittsburgh Steelers, and football in general. This book is online through the Pro Football Hall of Fame. 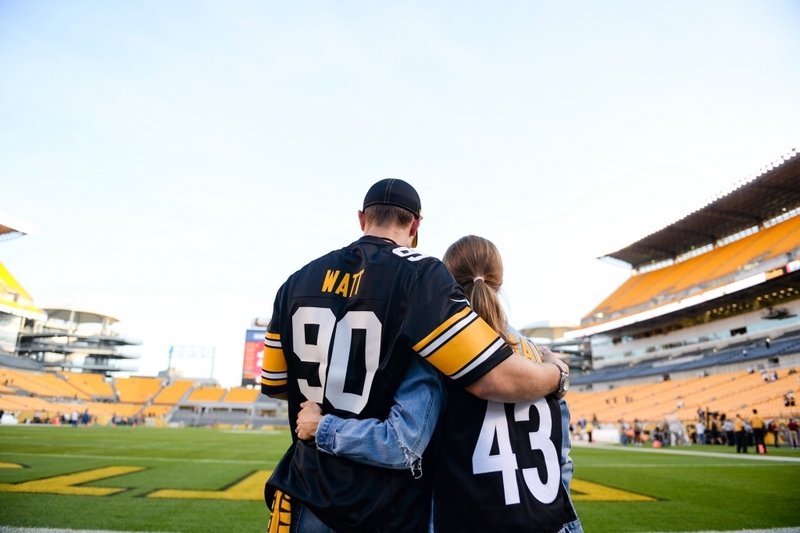 We hope this guide will offer an exciting way for you to prepare your students for their field trip to Heinz Field or reflect back on the experiences they had while visiting the stadium. Additionally, teachers can sign up for the Educational Outreach Program Newsletter to receive a monthly (September – May) e-newsletter that is sent to educators across the country updating them on current educational initiatives offered at the Hall of Fame. The newsletter also offers supplemental materials and educational resources for teachers to use in the classroom. Teachers can sign up for this newsletter. All Heinz Field Tour times and elements are subject to change based on stadium events. For questions, regarding availabilities, please contact us at tours@heinzfield.com.